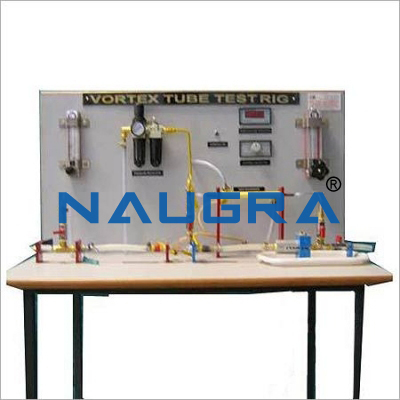 ‘THE WATER COOLER’ Test Rig enables students to study and understand Vapor Compression Cycle, its components, principle and working. 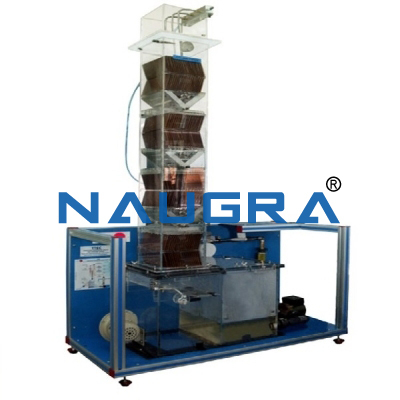 All the components are mounted on rigid steel frame. 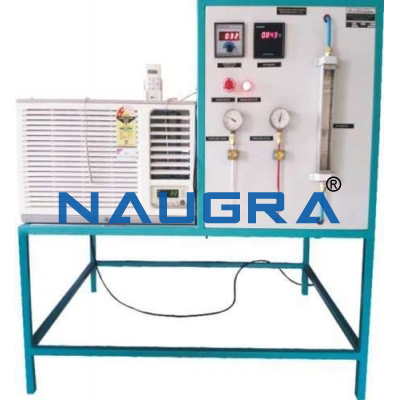 The trainer consists of a hermetically sealed compressor, forced convection air-cooled condenser, filter / drier, flow meter, expansion device and coil wound type evaporator. Separate pressure gauges are provided to record suction and discharge pressures and digital temperature indicators for various temperatures. The refrigerant used is R-134 which is environment friendly. 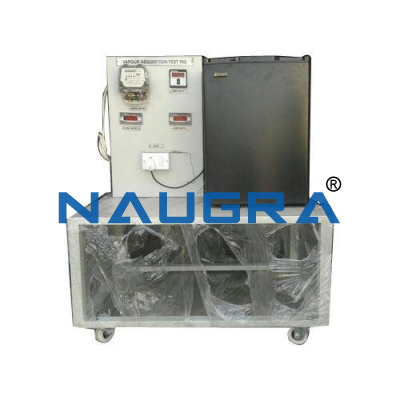 The water cooler consists of an insulated stainless steel tank around which evaporator tubes are wound and soldered. The tubes are made of refrigerated grade annealed copper tubes. This is a direct expansion type evaporator. The heat absorbed by the refrigerant is passed through water which is continuously flowing. TEMPERATURE INDICATION : DIGITAL TEMPERATURE INDICATOR FOR REFRIGERANT TEMPERATURES AND WATER TEMPERATURE. TEMPERATURE CONTROL OF THE WATER COOLER : THERMOSTAT PROVIDED. SUPPLY : 230 VOLTS, 50HZ, 1 PHASE, AC. 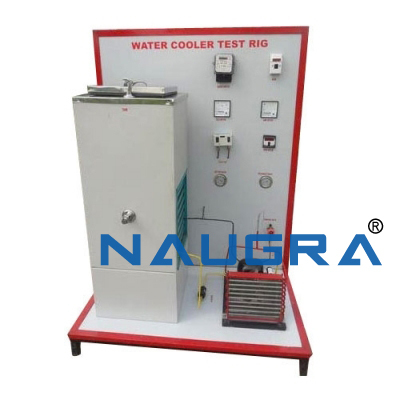 • To evaluate the cooling capacity of water cooler. • To evaluate actual and theoretical C.O.P. 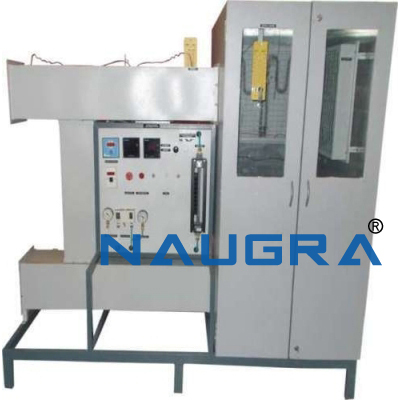 of Vapor Compression Cycle. • To plot the actual Refrigeration Cycle on P-H chart. 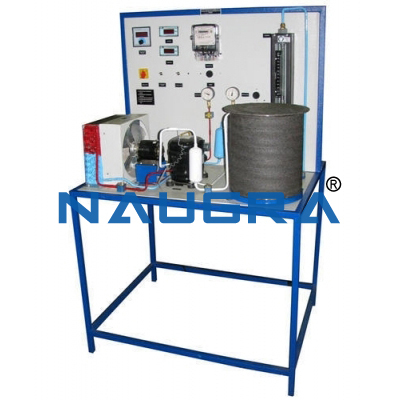 • To study various components and controls used in Vapor Compression Cycle. 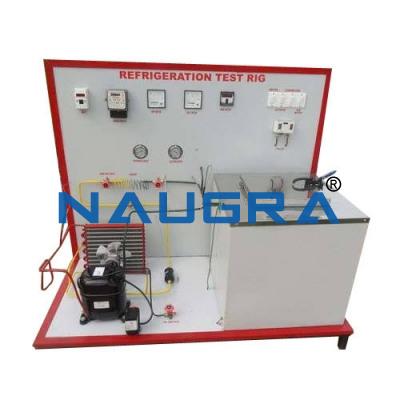 Other Related Teaching Lab Products, Scientific Instruments and Educational Equipments like WATER COOLER TEST RIG. . .